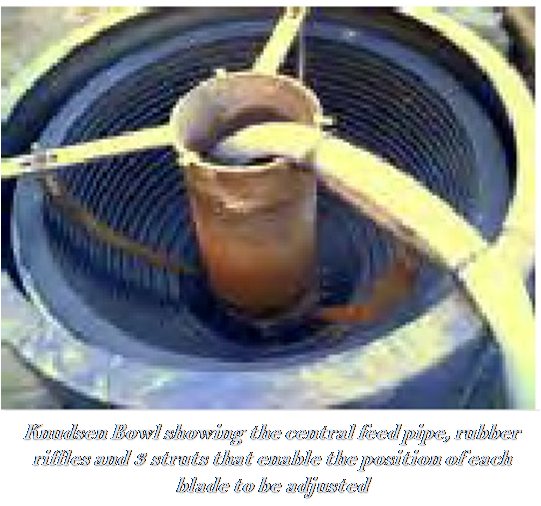 The Knudsen bowl is typically 12 to 36-inch indiameter and mounted on a vertical drive shaft. The wall slopes outward to create a gradient of g forces increasing upwards, inducing the slurry to climb the wall. The need for fine pre-screening makes the Knudsenbowl unsuitable for wash-plants, but it has merit for upgrading if two or even three bowls are put in series. 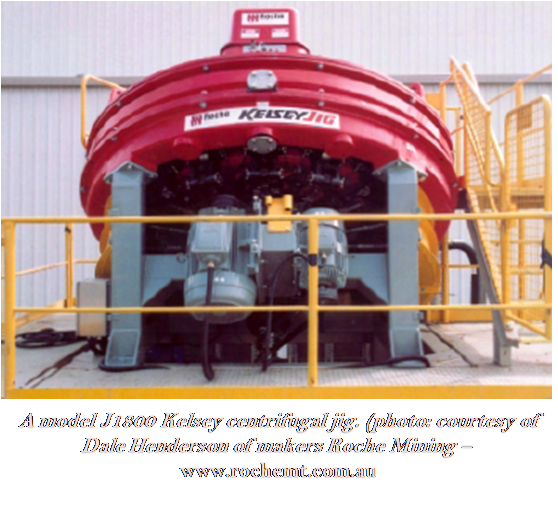 J1800 KCJ – largest commercial unit, 5-60 tons/hour. feed-related variables – feed type; feed density; feed rate;feed size; and density difference between minerals. jig set-up variables – screen aperture size; ragging type,ragging density, ragging size distribution and depth. jig control variables – rotational speed (induced gravity field);pulsing frequency; pulse amplitude (distance travelled duringeach pulse stroke); and rate of adding hutch water. Hindered settling is accentuated by the centrifugal force together with the pulsing of the ragging bed. The pulsing is via pulse arms connected to pads to work against the jig’s flexible diaphragm.